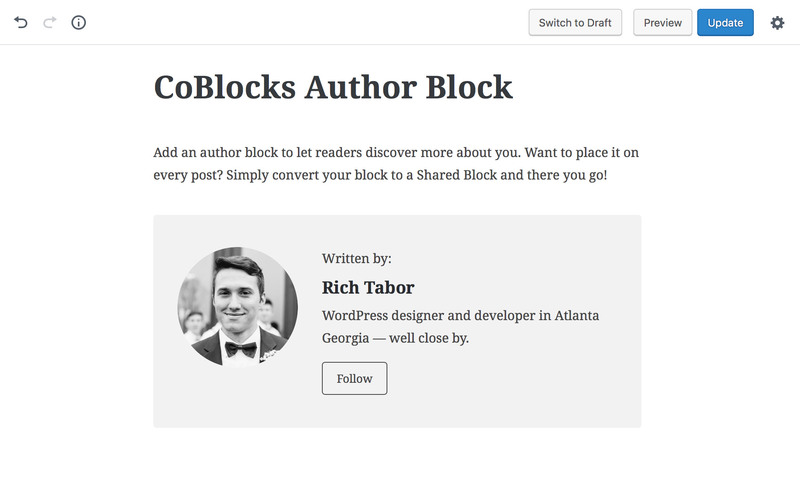 So far, I’ve built my WordPress theme Tabor, to be officially 100% Gutenberg-ready, started building Writy, a Gutenberg-centric writing experience for publishers, and now — releasing CoBlocks, a beta suite of Gutenberg blocks for content marketers. 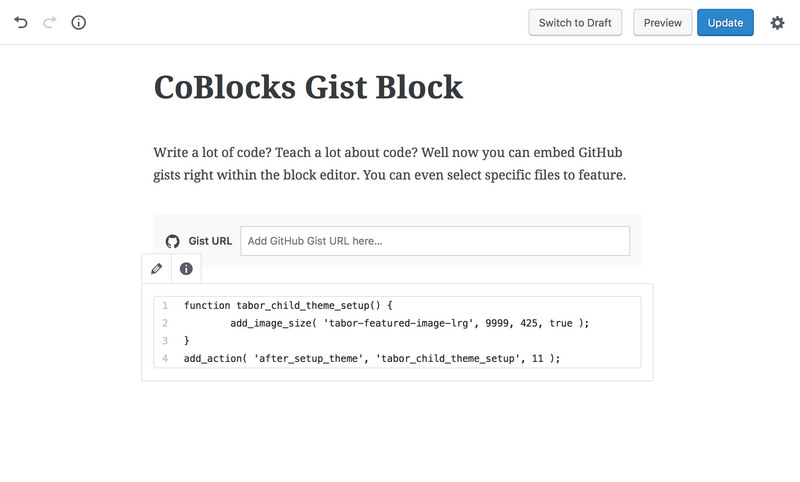 Building on top of Gutenberg, CoBlocks leverages the new block editor to add even more functionality. Space out content, drop in social icons, add click to tweet elements, insert gifs, deploy pricing tables, and more. 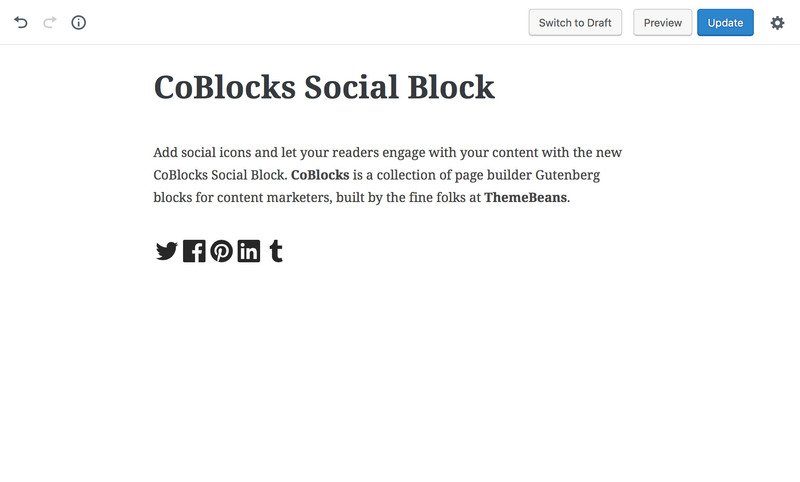 CoBlocks is a suite of Gutenberg blocks that is dead-set on helping folks publish rich content, grow audiences and super-charge content marketing strategies. 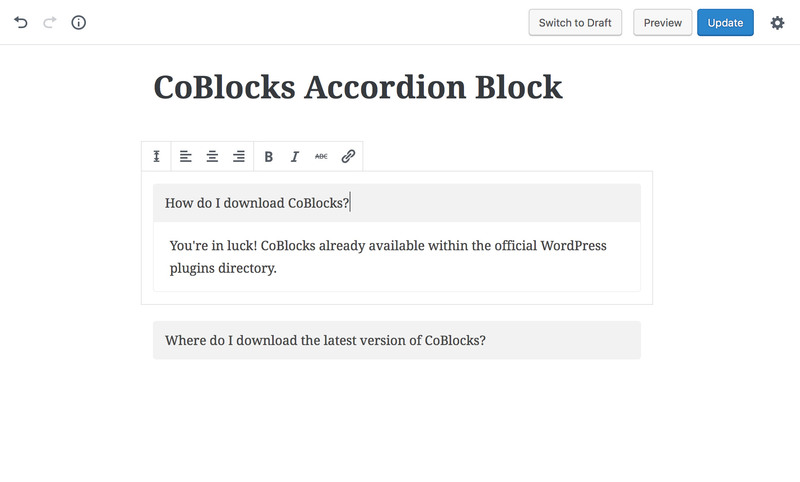 Seriously, CoBlocks is all about providing the tools to level-up your content marketing game. I’m not building “just another Gutenberg block plugin“, and you won’t find super useless generic blocks in CoBlocks. 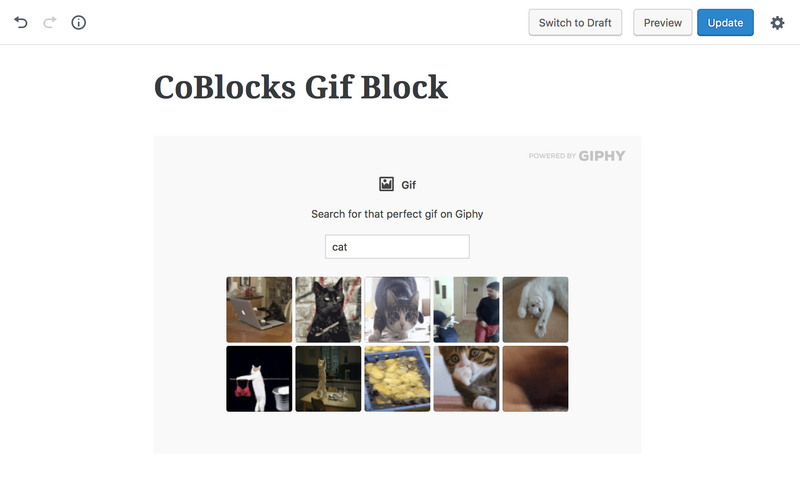 Below you’ll find screenshots of the CoBlocks blocks added to Gutenberg. Want to try out the Gutenberg block plugin in real-time? 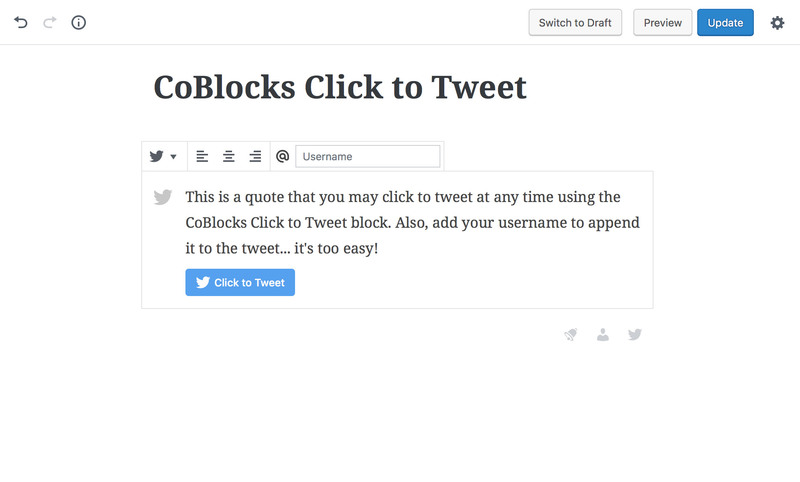 Click the “Try CoBlocks” button at the top of the CoBlocks website. ? 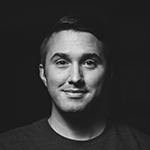 From the start, I wanted to build a suite of blocks that is dead-set on helping folks publish rich content, grow audiences and super-charge content marketing strategies. I have already uploaded CoBlocks to the WordPress Plugins Directory a couple weeks ago and the plugin has already reached 100+ active installations. And before you install the CoBlocks plugin, please make sure you have Gutenberg also installed — naturally. The CoBlocks theme is pretty similar in style to my popular theme Tabor, although the later is much more robust (and also works flawlessly with CoBlocks). 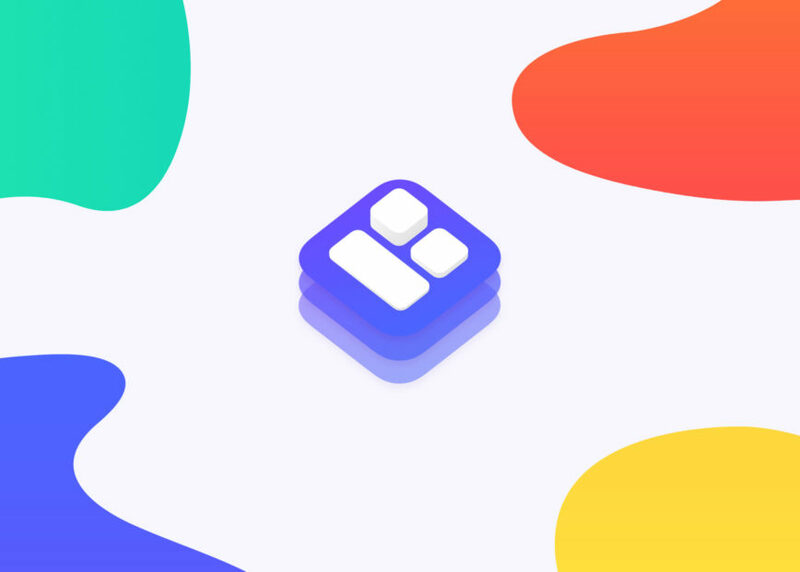 All in all, the CoBlocks theme is essentially a starting ground to get your feet wet with Gutenberg and CoBlocks. Yeah. This looks nice. Does this function allow you to add subscription forms? Thanks mate! Not at the moment, but I have something in the works! ?